Instagram has become one of the fastest growing and one of the most happening social media channels. 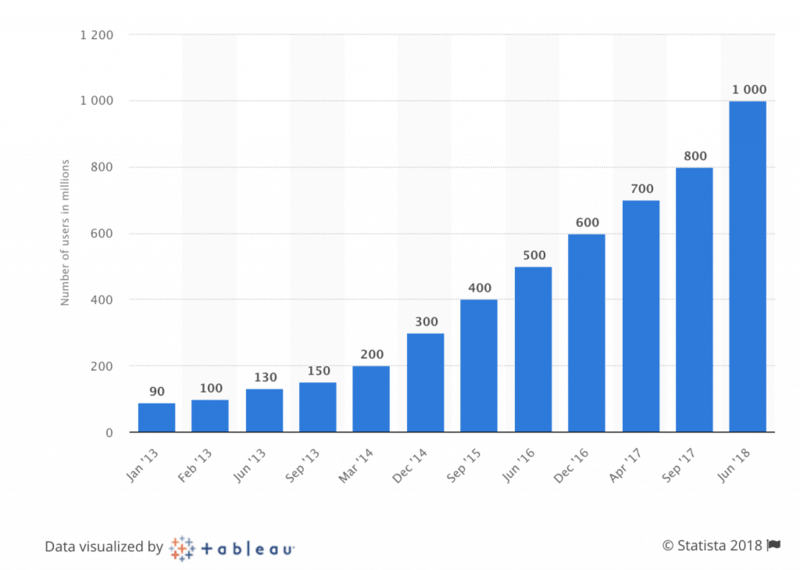 As of June 2018, Instagram had 1 Billion monthly active users (source). Its visual appeal, continuous improvements in design/features and unique user experience (and a bit of help from its parent, Facebook) is making sure that this channel continues to grow rapidly. If you are a ministry keen on using social media to serve others, you cannot ignore Instagram anymore. Instagram gives you only one link (URL in the bio) for showcasing your ministry when it comes to the newsfeed. There is no provision for adding website links or URLs in the newsfeed posting text. Instagram is a visual channel focussed on images, short videos and stories (temporary-vertical images and videos). The visual component is more prominent than the written description. Instagram has a robust Stories feature (thanks to ‘inspiration’ from Snapchat) which is a temporary-vertical visual content (images and videos) optimized for mobile devices that disappear in 24 hours. The simplicity and ‘instant’ nature of the channel are designed to keep users highly engaged. Instagram is owned by Facebook. So, it leverages the user-base and reach of the world’s largest social media channel. For example You can run your Facebook ad campaigns in Instagram with a single click, right within Facebook ads dashboard. That is how closely integrated the two channels are. So, if you use Facebook for marketing and your business can be represented visually, then Instagram should be a natural choice for you. As a social media consultant, I have seen ministries jump on to Instagram enthusiastically, but as time goes, they get stuck. They do not know how to move on. They do not know what to post, how to create a workflow for this unique platform and how to keep the momentum going. That is why it is important to start right. To start right you need to think right. To think right you need to ask yourself the right questions. Here is a list of 4 steps with 4 questions to help you get #instaclarity on your Instagram strategy! Step #1: List down your objectives – Why do you need to be on Instagram? As I mentioned earlier, Instagram is different and if you are going to make it work for you, you need to know what you expect out of it. In what way will it help your ministry? Visual Brand Building: Each channel has its own strengths and weaknesses. Instagram’s strength lies in its ‘visual-centric’ approach to marketing. It is a powerful platform to build a visual identity of your church. Instagram can become the one place where your audience can come and check out or validate your business’ visual identity. By spending just 60 seconds on your Instagram account your audience can understand what you do by quickly swiping through your images or videos. Then they decide whether or not they want to support you or be a part of your ministry. So, ‘visual brand building’ could be one of your top objectives for Instagram. Attracting partners or donors by showcasing your missions, values, vision, cause, etc. Step #2: Create a content strategy – What will you post on Instagram? 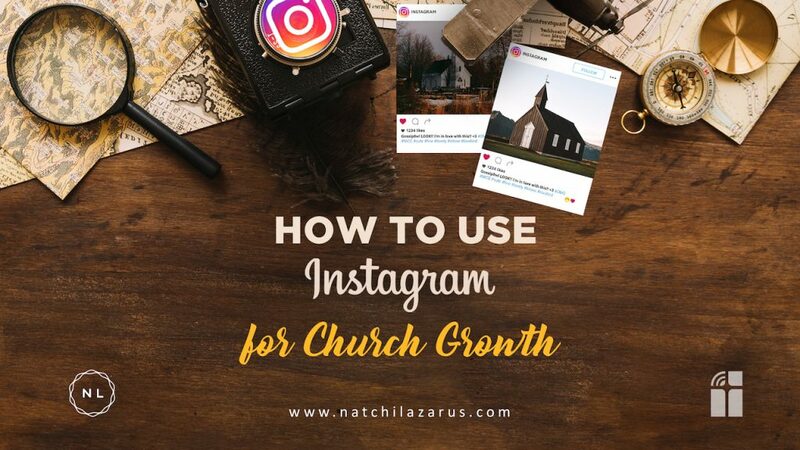 Even though Instagram is ‘instant’ in nature, as a ministry, it is good to plan ahead and come up with a content plan before you start using Instagram. You can capture and share some of the moments ‘instantly’ but it helps to have a plan, so that your spontaneous posts are in alignment with your content plan. Broadly write down the type of images and videos that you will create to achieve the objectives listed above. You could create an excel sheet and have a column for each objective and under each column, list down the type of visual content that you can create to achieve those objectives. Creating a content plan also helps you determine what type of tools you need. For example : There are design and image editing tools like Wordswag and Canva. There are video creation and editing tools like Magisto and Videohance. Your content plan will help you decide what tools you need to get started. Researching and selecting the right tools in the early stages will save you a lot of time and resources later. Step #3: Create a posting schedule and calendar – When will you post on Instagram? How many times should you post on Instagram? Even though it is best practice to post once or twice a day, the real answer to that depends on your audience. Post how many ever times they are ready to see, enjoy, engage and share your content. There are no hard and fast rules. The frequency of post could also be season or event dependent. For example: If you are a church, then the holiday season might be a peak season for you to post. Or if you have a special event like a music show or missions week, you may decide to post multiple times. The posting timing should be based on the geographic location of your audience and the probable time when they might check their social media newsfeed. For example: If you are a ministry with a specific focussed on working professionals, then you may want to choose lunchtime to post your content. Research shows that lunchtime is one of the best times to post on many social media channels. I guess that’s simply because people like to check their social media to help them take their mind off work. Step #4: Organise your tasks and checklists – What is your Instagram workflow? Being organised is important to succeed in social media. And it is more important for a channel like Instagram because of its various unique requirements like mobile-only posting, more hashtags than any other channel, no URL in description, etc. Organisations with good vision, good ideas and good intentions struggle to succeed on Instagram because they do not have a good workflow. Creating the right workflow starts with thinking through the entire process and mapping it out step-by-step with the overall ministry objective in mind. Whether you are a solo-minister doing all the tasks by yourself or a small church with a support team working remotely, you can reduce stress if you think through the entire process in advance and delegate the right tasks to the right people. Selecting the right tools at the right stages of the workflow is also important. For example: Using a good editing tool can help you quickly create good looking images or videos in less time. And including research tools like the ‘discover’ tab of the Instagram app within your workflow could help you find the best hashtags for your post. Personally I am a big fan of checklists. Checklists ensure that you do not miss important elements while posting. For example: Let’s say you are sharing an image of your sermon highlight on Instagram. What if you forgot to include the hashtags that are relevant to that topic or message? Even though you may have a good visual content and you took the effort of sharing it, just because you did not include the hashtags the overall effectiveness of your post comes down. By creating a checklist, you can ensure that it is added every time you post. It takes a bit of time and planning initially, but in the long term it will help you be more effective. Use these 4 simple steps to get started on Instagram marketing for your nonprofit and ministry. Share your thoughts, experience with Instagram and feedback in the comments section. You can follow me on Instagram to get additional tips and resources.